Our general-purpose 15ft containers are big enough to store the contents of the average three-bedroom home, or a business of a medium-size. Great for mixed-use purposes, storing equipment over winter while not in use or even taking care of smaller vehicles (motorbikes, ATVs etc. ), our 15ft containers are all about flexibility and versatility. Drive-up access allows for easy loading and unloading of heavier and more awkward items – perfect for commercial and industrial storage purposes. 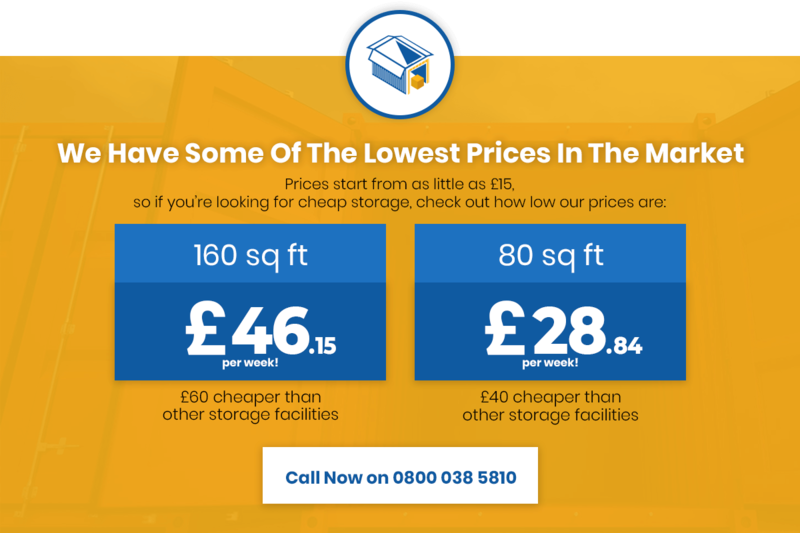 Available for the low price of £55.35 per week or £240 per month, we offer fully flexible terms and prices on all of our storage units. Whatever your needs and budget, give us a call to discuss your needs and we’ll provide you with an unbeatable quote.